Industrial Designer Lisa Fraser never imagined she would one day become an award-winning and celebrated entrepreneur. “It was never in my plans – it sort of just happened,” said the 28-year-old from Vancouver. “I wanted to alleviate discomfort and develop a tool that could help children with autism function better in their daily lives. I didn’t think I was going to be the one to bring my ideas and designs to market, but I felt it was my duty to do so after developing the Snug Vest™,” Fraser said. While studying industrial design at Emily Carr University of Art and Design, Fraser ingeniously developed a discreet and sporty vest that can be inflated to evenly-distribute pressure thereby creating a relaxing and calming effect for people with sensory processing disorders. The Snug Vest works to relieve anxiety by regulating the sensory system when it is overstimulated from environmental input and overload. The vest features handy pockets for comfort as well as a hood to help block out overwhelming distractions such as light. For those people who are still growing, the Snug Vest is adjustable in length and width using special Velcro adjustments. “I worked with children with autism as a classroom aide for several years while I was studying medical product design at university because I realized my creativity could have a huge impact on the lives of many by developing medical advances,” Fraser said. What inspired you to develop the Snug Vest? How is it different from a weighted vest? One day, I saw a therapist putting a weighted vest and lap-pad on a child I worked with while I was a classroom volunteer. I understood first-hand that firm hugs and pressure had a very calming and relaxing effect, but for some reason I intuitively felt that using weight to provide pressure was not very safe or effective, and limiting to natural movement and mobility. I became more interested in the matter and discovered that pressure was a type of therapy called ‘deep pressure therapy’ or ‘deep touch pressure’ used widely among occupational therapists. I researched other pressure products and still was unhappy. I then came up with the concept of using air instead of weight to provide a squeezing-hugging sensation. With air, you can get the exact amount of pressure the person needs, and the person wearing it can independently control it themselves if there’s a pump. 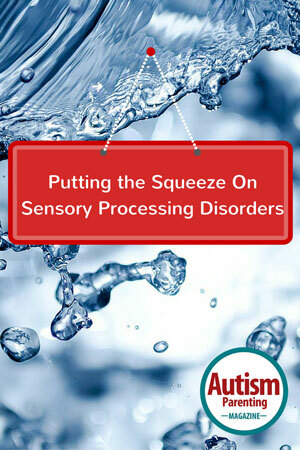 Air ultimately allows a person to take control of regulating his or her own sensory system. How would you explain the benefits of deep pressure therapy? Deep pressure therapy has a very calming, relaxing effect and on many that soothes anxiety rapidly. 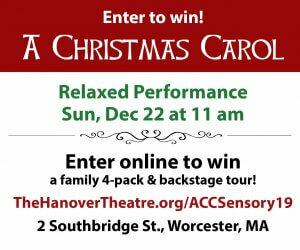 It activates the proprioceptive nervous system and regulates the sensory system when overwhelmed or overstimulated from environmental input. As cortisol – a major biomarker of stress – decreases, problem behaviors can mitigate such as self-injury, tantrums, and meltdowns. Other effects include improved spatial body awareness, and an increase in focus and attention. It really depends on the individual as effects vary greatly. What is the science behind Snug Vest? Snug Vest has been tested clinically by university researchers who found a significant interaction between treatment and time point in salivary cortisol (stress) and found more concentration with Snug Vest during tabletop activities. Snug Vest uses patent-pending technology to keep the product safe so that it provides very firm pressure, but will never ‘over-squeeze.’ It uses radio frequency welding and tested features that provide an even pressure distribution and ventilation. Which features make Snug Vest therapeutic? It’s the pressure itself that the vest provides when inflated. Pressure is evenly-distributed throughout the torso but does not place pressure on the stomach or chest for safety. Pressure is controlled and varied by the user to the exact amount they need. The optional hood, high collar, and pockets can help provide a further sense of comfort, and the fabrics are comfortable with no inside tags. Who benefits most from deep pressure therapy? an effective treatment for? Can people of all ages benefit from the Snug Vest? 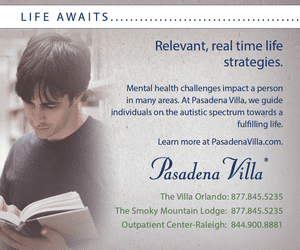 All kiddos, teens and adults with autism should give it a try because when it works, it really works! I can’t say who would benefit most, as each individual is so different and it really is a ‘trial and error’ kind of thing (as most things are!) That is why we offer a 60-day money back guarantee, because we know that not everyone does respond to deep pressure. We get 8% of our vests returned because of ‘no effect’ or simply, the child refuses to put it on or even look at it. Snug Vest sizes range from fitting a three-year-old up to a large adult, and all sizes adjust 6” around the waist and 3” in height to accommodate growth and last for years. We feel that no one should be stuck with something that does not work for him or her. Unlike medication, there are no harmful side effects and we know that over 70% of our customers who ordered a Snug Vest two years ago still benefit and use their Snug Vest on a regular basis. What has the response been like toward your product? 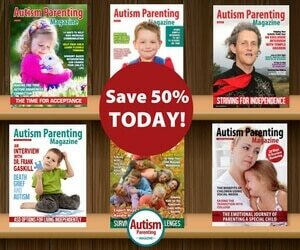 We have had overwhelming demand and positive response from individuals, health professionals, autism thought leaders, and parents alike. 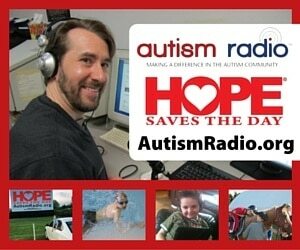 We have multiple distributors, worldwide customers, and partnerships with established autism organizations. Everyone who receives their Snug Vest says that the quality of the product is so much better than ever anticipated, and the results for many have been a life saver, some testimonials bringing us tears of extreme joy! Every success story is momentum that makes the hard path of entrepreneurship well worth the journey. Could you share one of your favorite success stories? There are so many to choose from! Danny stands out for me as he was the first teen to ever receive a Snug Vest. Danny lives in California and found out I was developing an inflatable vest in the early stages, so he and his father would Skype me to provide me with feedback throughout the product development process. Danny’s dad would give him pressure (firm hugs) every morning before he went to school to get rid of the stress that causes his bad behavioral events. His dad would tell him to stay calm at school, but they both knew that the morning ritual was a temporary solution and Danny had no way of administering pressure to himself when he needed it. Once he wore a tight women’s leather jacket to school and was made fun of. Danny’s dad said, “The pressure I provide him rapidly changes his personality from aggressive to calm.” Once Danny got his Snug Vest, his dad said, “The results are phenomenal. It calms him down, it comforts him. It’s very fast-acting. He pumps it up and he feels good. And unlike medication, it doesn’t have any side effects. 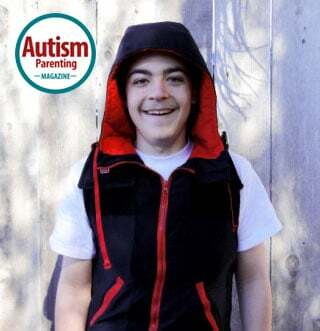 Its wearable therapy.” Danny’s focus and grades improved at school and even Danny’s sister commented that their first family dinner out with Snug Vest was the best ever, because of Danny’s amazing behavior at the restaurant. He wore his Snug Vest inflated when we got into the car, when we walked into the restaurant, and for the first 10 minutes or so until he adapted well to the new environment. “The transitions are always chaotic for us, but not with the Snug Vest.” We’ve been in contact with the family since, and are so happy that Danny is still benefiting from his Snug Vest today. 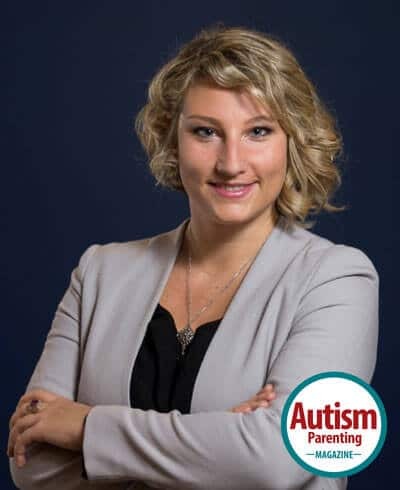 Lisa Fraser also hosts a webinar series called ‘Inside the Spectrum – Interviews with Autism Thought Leaders.’ She interviews autism experts to help parents access free educational information. To sign-up, visit www.insidethespectrum.org.